Opening a new chapter in your career begins with the required real estate license education to get your Tennessee Real Estate License. Real Estate is an exciting and rewarding career and we have made completing the requirements very easy. Get started today and not only learn the requirements to pass the exam but learn what it will take to be successful. When comparing real estate courses, not all online real estate courses are the same! Unlike other programs, ProSchools' Gold program includes online lessons, exam prep and instructor access. As you can see, with ProSchools' Gold program you will receive over $200 in extra value than any other real estate program! Best Value! Receive extra exam prep tools and save money with the Platinum package! In addition to everything included in ProSchools' Real Estate Gold package, the Platinum package includes a recorded review webinar, online flashcards and recorded test-taking tips webinar. Save over $300 by choosing the Platinum package! Complete the 60-hour “Principles/Fundamentals Course,” preparing you to pass the license exam. 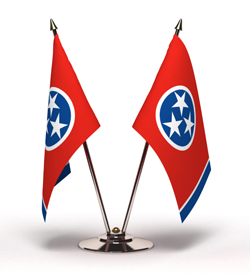 ProSchools offers this as two courses, called 1) Real Estate Basics & Beyond, and 2) Tennessee Real Estate Laws & Rules. You must complete this course prior to registering for your state exam. Once you complete the Principles/Fundamentals Course, ProSchools will notify PSI that you are eligible to take the examination. Pass a license exam with a score of 70% or better. The exam consists of 80 national and 40 state-specific questions. Complete the 30-hour “Course for New Affiliates,” preparing you to work for a broker. L1 MorphoTrust will be doing the fingerprinting as required by statute effective January 1, 2014. Please see below for a notice from the Tennessee Real Estate Commission. Proof of high school graduation or equivalent (a copy of your high school transcript or diploma, GED certificate, or college transcript). Proof of successful completion of the prelicense courses. Documented responses to seven qualifying questions related to your background (licenses in other states, past license violations, complaints, criminal offenses, and age).